tom and i love breakfast. we regularly eat it for dinner and call it “brunner”. well, maybe i just call it brunner. 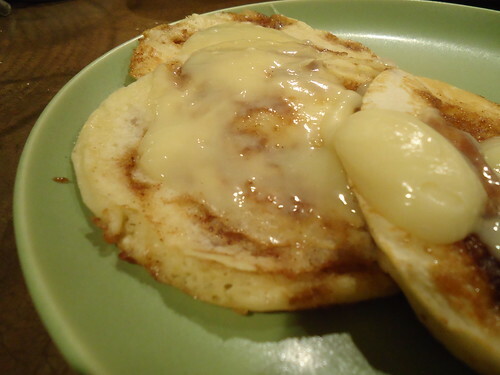 this is a very unique combination of two of my favorite breakfast components, cinnamon rolls and pancakes. they’ve very rich and definitely remind me of cinnamon stuffed pancakes from bob evans. they take a bit more work than regular pancakes, but are well worth the effort! in a small ziploc baggie, mix brown sugar and cinnamon. pour in melted butter and mix well. the original recipe calls for a toothpaste mixture, but i think a bit more liquidy would be best. it drizzles more and you will not get the “morse code” effect that is shown in step 4 below. in a medium, microwave safe bowl, melt the butter and cream cheese until melted. whisk together with a fork until smooth. whisk in powdered sugar and vanilla, set aside. 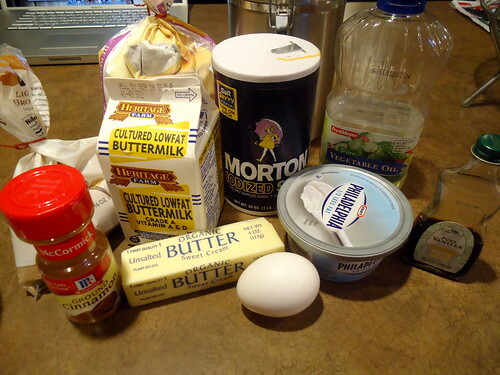 make the pancake batter. combine flour, baking powder and salt. 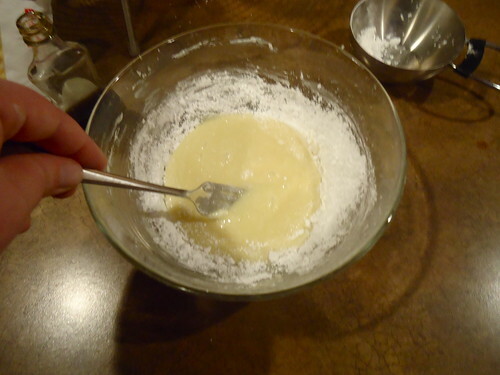 whisk in buttermilk, oil and the egg. the trick is to cook these pancakes low and slow. cover your pan with pam. i made larger pancakes, you can also make smaller pancakes. 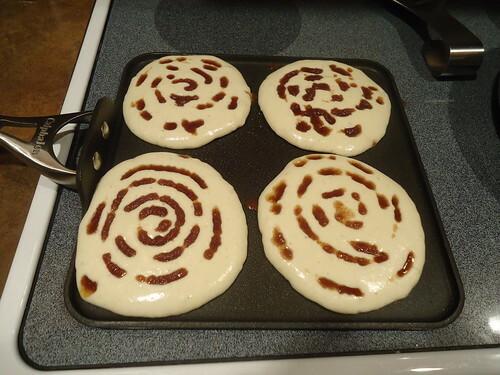 cut a corner of your ziploc baggie, large enough to drizzle the cinnamon mixture on the pancakes in a circular pattern. flip your pancakes when bubbles appear at the top. finish cooking the pancakes and keep warm until ready to serve. top with cream cheese glaze before serving. wash them down with a nice cold glass of milk! they were a pinterest find!